A few weeks shy of a year ago, I was at the 12 Bar Club in London’s Denmark Street, the Tin Pan Alley of pop legend, to see a young Los Angeles-based band called Dawes. They’d been brought to my attention by an Uncut reader, who couldn’t recommend them highly enough. As an example of what they did in his opinion better than anyone he’d recently heard, he sent me a track called “When My Time Comes”, a rousing country rock thing that I hadn’t been able to stop playing. They were here with the producer of their two albums to date, North Hills and the newly-recorded Nothing Is Wrong, Jonathan Wilson, who a few months later would make a bit of a splash himself with the release of his Gentle Spirit LP. Dawes had recently come to the attention of Robbie Robertson, who invited the band’s vocalist and principal songwriter Taylor Goldsmith to sing back-up vocals on a number of tracks from his How To Become A Clairvoyant album. Robertson and Goldsmith hit it off during the sessions, which was hardly surprising, Taylor being a big fan of The Band and the era in which they flourished. Robertson had barely performed live since The Band’s farewell concerts, filmed as The Last Waltz, in November 1976. But he was clearly galvanised by the songs on his new album to make a welcome return to the stage, and when he needed a band to back him on a couple of American TV shows, Dawes were duly enlisted, with Wilson in tow. They were in London, all of them, to appear on Later. . .With Jools Holland and found time to fit a couple of hastily-arranged shows, including this one at the 12 Bar, where the stage was only big enough to accommodate Taylor, bassist Wylie Gelber and drummer Griffin Goldsmith. Ace keyboardist Tay Strathairn and Jonathan Wilson had to set up on the floor to the right of the stage, almost mingling with the small crowd that had turned out to see them. There was a lot of good music that night, hints in what they played of The Band, Little Feat, Jackson Browne, Neil Young, influences who also shaped the terrific songs on Nothing Is Wrong. What I also remember from the show is how clean-cut and fresh-faced the band looked, apart from Wilson, dressed in scruffy black, who looked like he hadn’t slept since After The Goldrush came out. Last night at the Borderline, the band back in London for a couple of dates at the end of a European tour, they looked a lot less spruce and scrubbed-up. they looked in fact like a band who’d spent most of the last 12 months on the road, a whole pile of travelling behind them, their music sounding correspondingly well lived-in, much grittier than I recall from a year ago, and on most of what they play quite fabulous. Bruce Springsteen has apparently recently become something of a fan and he would doubtless have recognised something of himself in the rousing anthems songs from Dawes’ repertoire have become. “Fire Away”, “The Way You Laugh”, “If I Wanted Someone”, “Peace In The Valley”, “Time Spent In Los Angeles”, “How Far We’ve Come” all become essentially an invitation for mass audience participation, the crowd lending their voices to the billowing choruses that are the band’s signature sound. They might as well have gone for a quick break during a particularly stirring “When My Time Comes”, which was virtually claimed by the audience as its own and was truly uplifting. There were highlights on all fronts – something malarial that sounded like it might turn into “Down By The River” turned out to be a terrific version of “So Well” from Nothing Is Wrong, much danker and moodier than the original. “A Little Bit Of Everything”, meanwhile had the gorgeous disconsolate heft of a classic Warren Zevon ballad, something like “Desperadoes Under The Eaves”, “Accidently Like A Martyr” or “Hasten Down The Wind”. Dawes are at the London Hoxton Bar And Grill tonight, then off to Nashville to open for Mumford And Sons at the Ryman Auditorium, before coming back for UK festival dates in the summer and should definitely be on your must-see list. 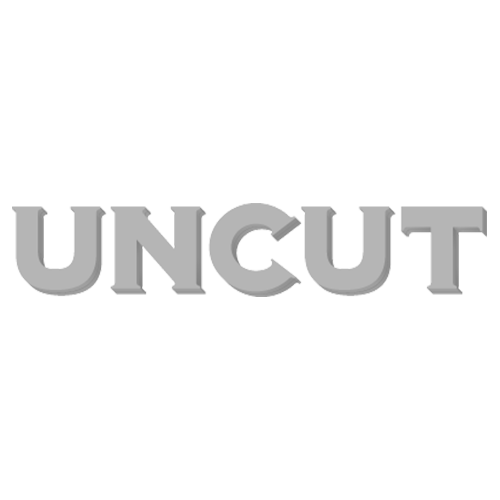 And before I go, a sincere thank you to everyone who’s taken the time to write in with their thoughts on the new-look Uncut. Please keep your comments coming. You can reach me at the email address below.